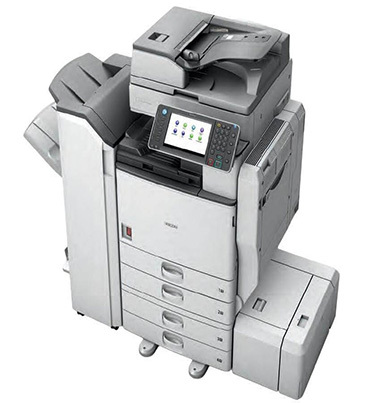 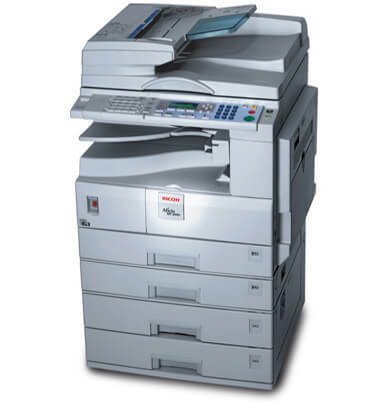 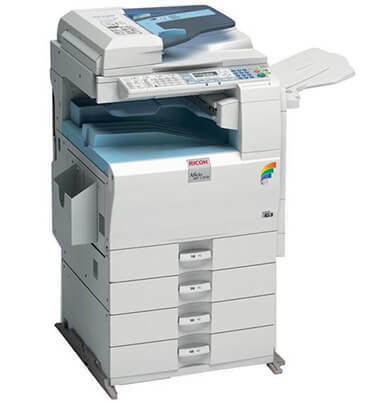 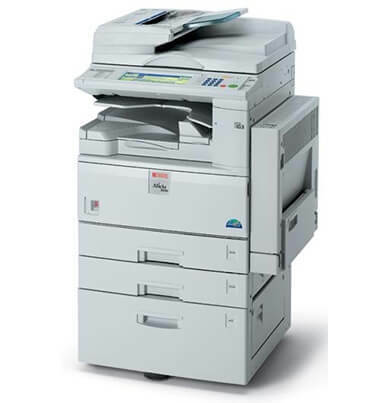 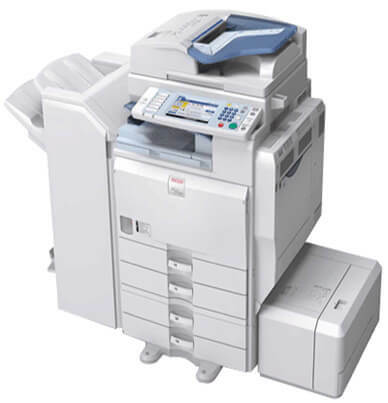 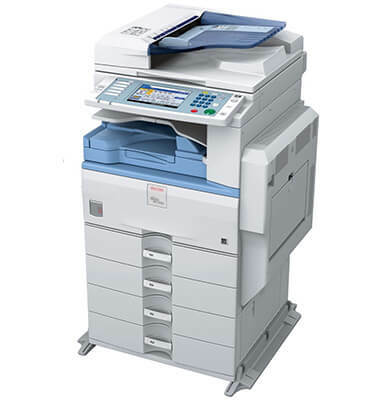 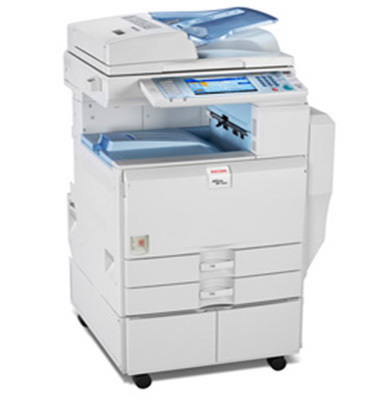 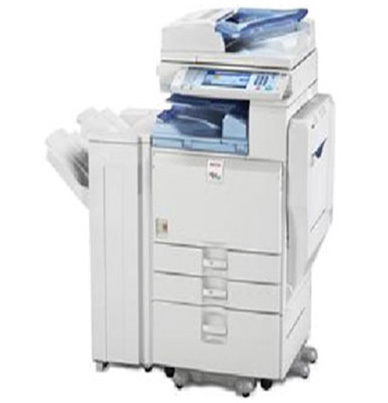 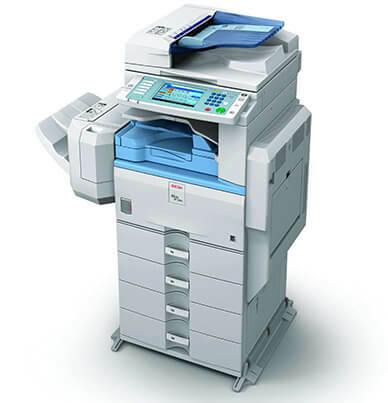 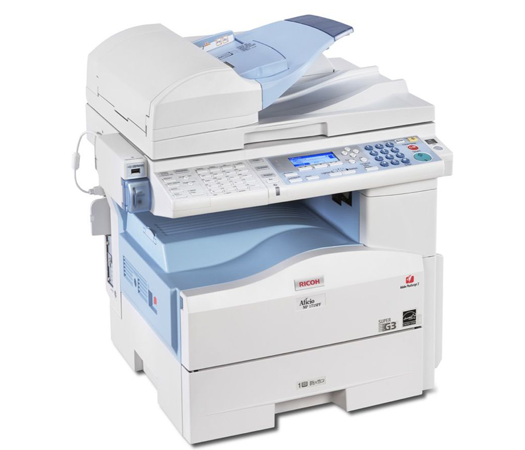 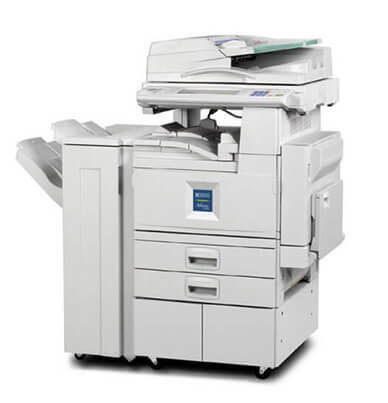 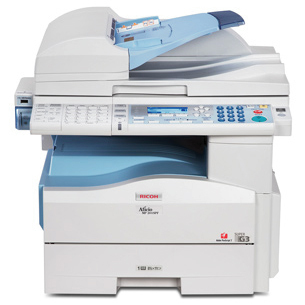 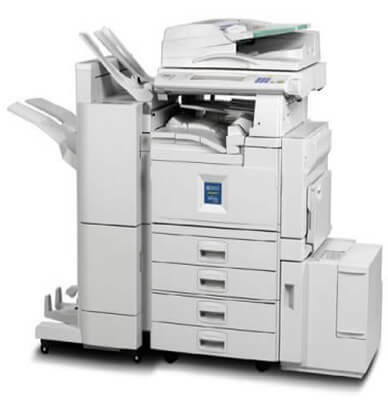 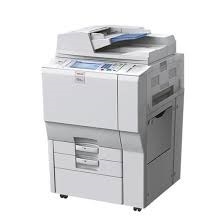 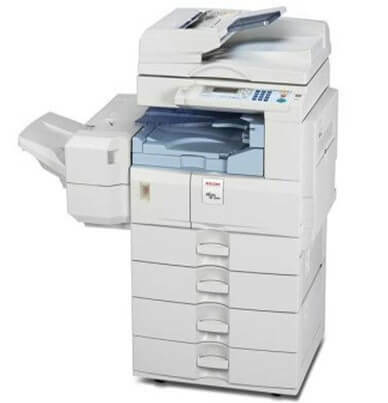 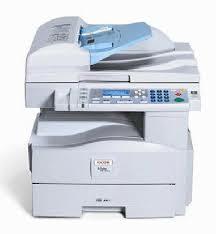 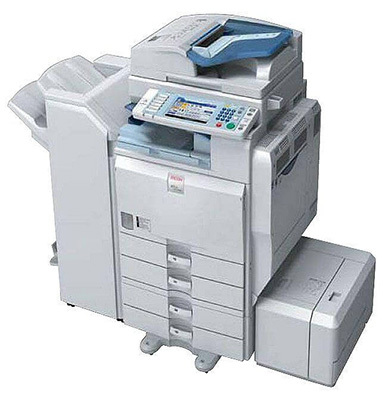 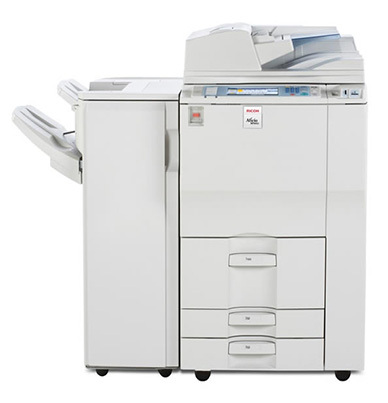 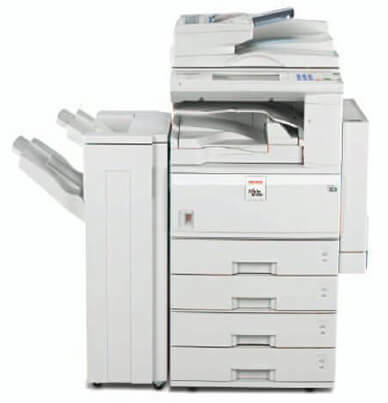 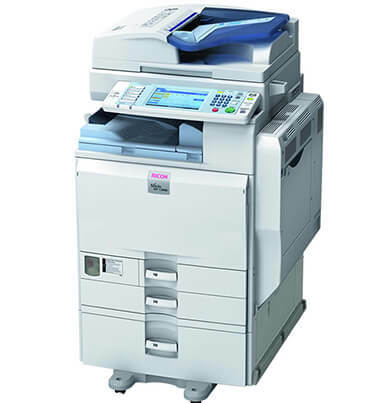 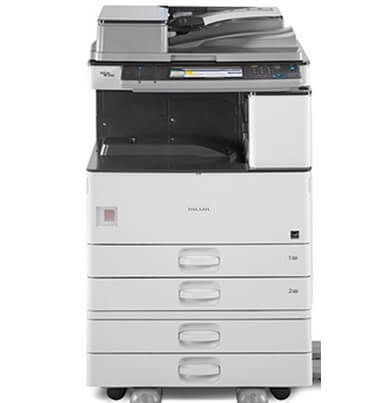 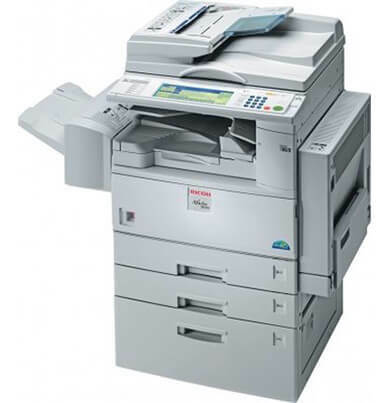 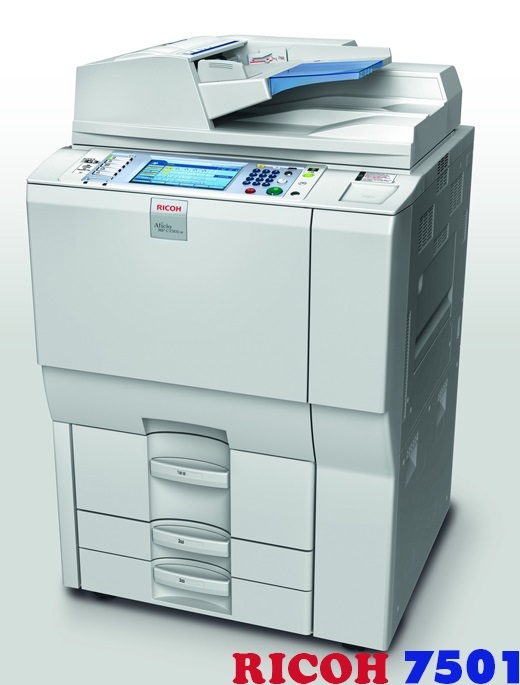 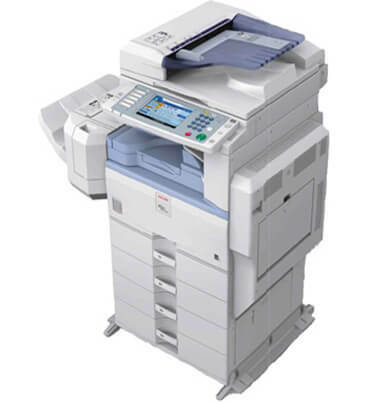 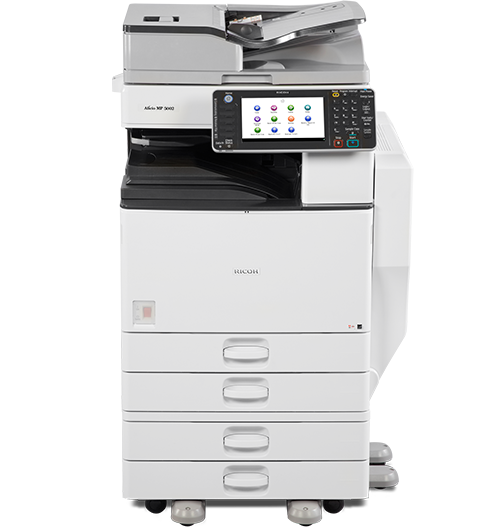 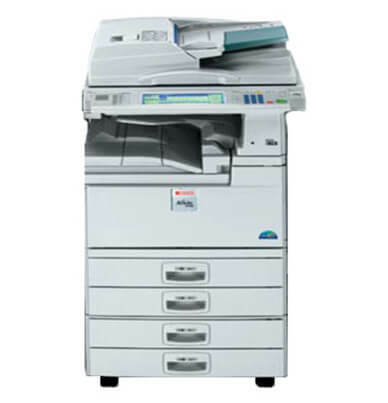 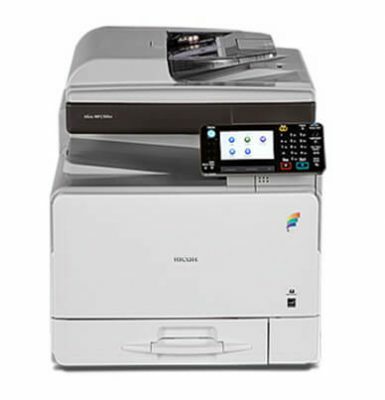 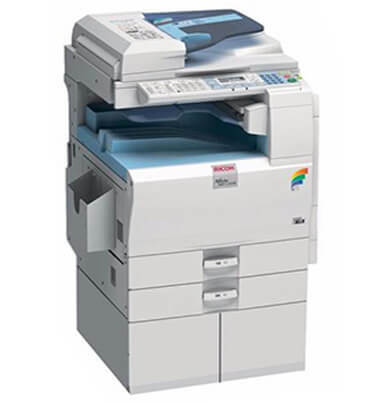 The productive Ricoh Aficio MPC 3000 is a 150,000-impression per month copier, printer, and scanner; fax upgrades are available if needed. 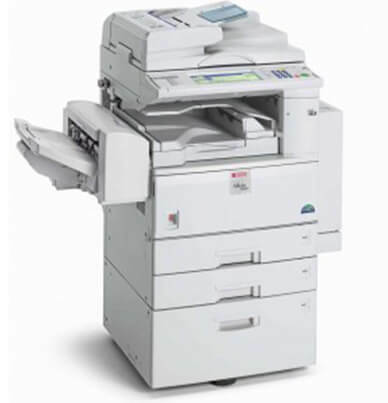 Color will not slow you down; the Ricoh Aficio MPC 3000 has the same print speed whether you are printing monochrome pages or color. 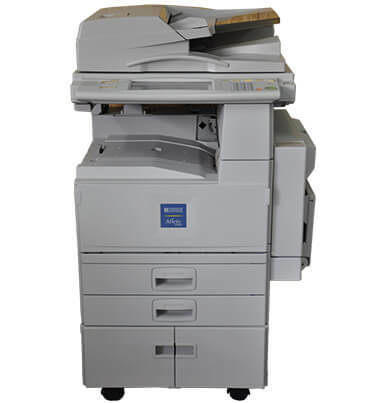 Letter-sized documents are dispersed at a rate of 30 pages-per-minute. 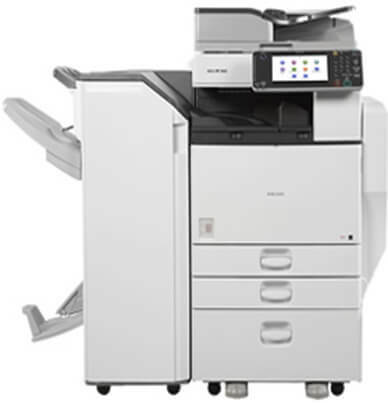 The control panel is easy to use; it offers animated guidance, full-color display, and enlargeable options making programming print jobs a breeze. 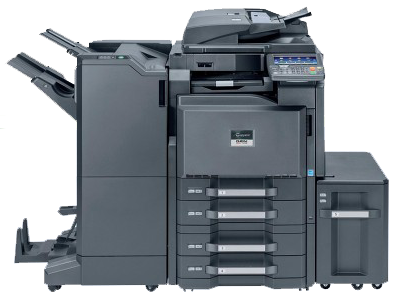 Toner cartridges are simple to replace and put forward robust yields; the black toner (884962) has a projected yield of 20,000 pages at 5 percent and cyan (884965), magenta (884964), and yellow (884963) each have an estimated yield of 15,000 pages at 5 percent. 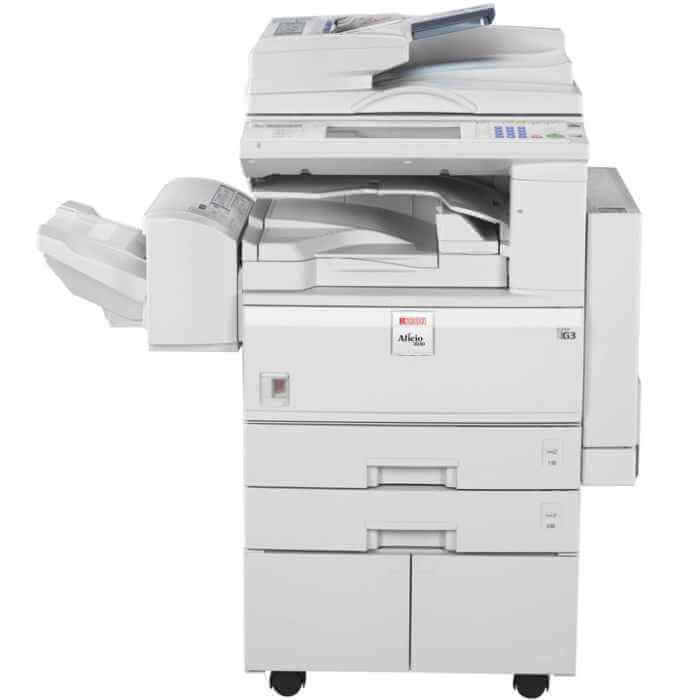 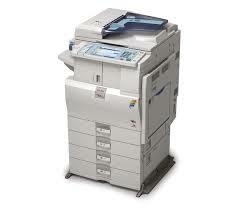 Standard paper capacity on the Ricoh AFICIO MP C3000 is generous at 1,100 sheets. 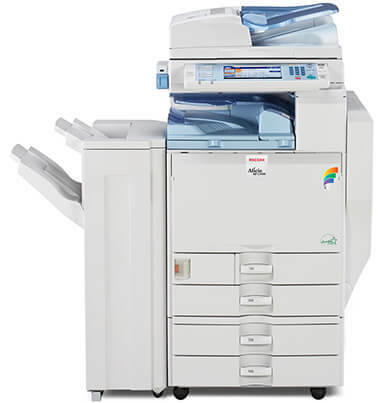 Sources stem from the dual 500-sheet drawers and 100-sheet multipurpose tray. 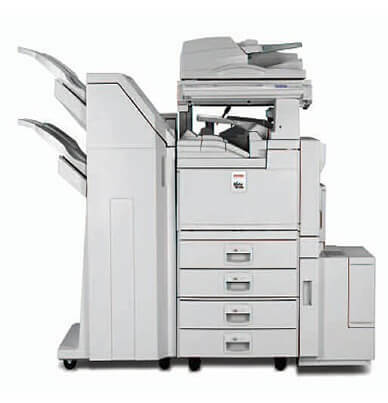 Additional paper banks are available to reach the maximum capacity of 3,100 sheets. 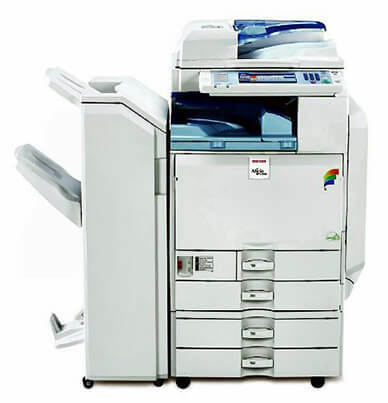 Each tray has size variations that can accommodate different paper styles.